Happy Birthday SM! Did you know that the first SM is a shoe store in Carriedo Manila? Established by Henry Sy Sr. in 1958, it has come a very long way and now celebrating its 60th year with 60-themed discounts, deals and sale events starting this May to October at all SM malls in the country. Continuing to excite and delight its various customers, SM brings to everyone a feast of visual attractions, fun experiences, and interactive activities, featuring innovative technology to make going to an SM mall a truly memorable and extraordinary. Last May 21, the #AweSM Launch party gathers SM's partners, tenants, celebrities and valued stakeholders who have been part of SM's journey from a one store operation to one of Southeast Asia's largest integrated property developers. "For six decades, SM has become part of the lives of every Filipino family - from a kid choosing his first pair of school shoes at The SM Store, spending your first paycheck on groceries at SM Markets to treat mom and dad, a SMDC enabling a young couple to acquire a home of their own, to sharing a fun weekend with the whole family at SM Supermalls," says Steven Tan, SM Supermalls' Chief Operating Officer. Apart from the launch party at the SM Mall of Asia, the celebration continues this May 25 at SM City Clark, SM City Dasmarinas, SM Seaside Cebu, and SM Lanang Premier. 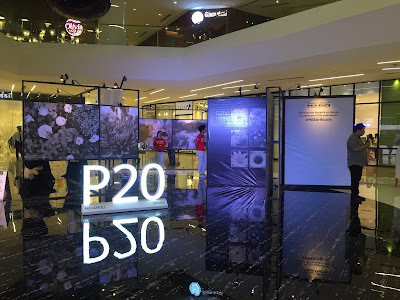 To commemorate its 60 years, fun summer deals and exciting promos are happening at all SM malls where you can pay only Php60 for an item, pay Php60 less or discounts for 60%.